Beautiful Incentives: FREE Wheat Free Diet Kindle book! 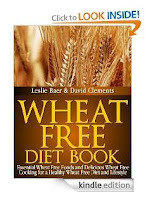 FREE Wheat Free Diet Kindle book! FREE Wheat Free Diet book filled with good for you recipes. Great for newbies trying to avoid wheat and lose weight!